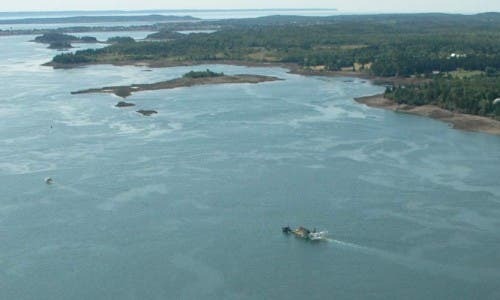 The US Department of Energy and Ocean Renewable Power Company announced the launch of the country’s first commercial, grid-tied tidal power project on Tuesday, the TidGen Cobscook Bay project, in Eastport, Maine. Located on Cobscook Bay, an inlet of the Bay of Fundy, the project has created more than 100 local and supply-chain jobs and contributed more than $14 million to the local economy. “The Eastport tidal energy project represents a critical investment to ensure America leads in this fast-grown global industry, helping to create new manufacturing, construction and operation jobs across the country, while diversifying our energy portfolio and reducing pollution,” Energy Secretary Steven Chu said about the project. The project received $10 million from the federal government’s Wind and Water Power Program, and will generate enough electricity for 75 to 100 homes. However, additional tidal power devices are planned to be installed, which would eventually extend the generation to levels capable of powering more than 1,000 homes. The Bay of Fundy is known for its high tidal ranges. The Canadian Hydrographic Service determined that the Bay of Fundy had a tidal range of 17 meters (55.8 feet) at Burntcoat Head, putting it into a statistical tie with Leaf Basin in Ungava Bay for the world’s record for largest tidal range. Unsurprisingly, turning this record into a resource was only a matter of time.